Pharmaceutical Compliance Guide from C.H.I.P.S. Bridging the gap between US and European Good Manufacturing Practice guidelines, Good Pharmaceutical Manufacturing Practice: Rationale and Compliance comparatively presents the major substance of both the "US Current Good Manufacturing Practice for Finished Pharmaceutical Regulations" and the European "Guide to Good Manufacturing Practice for Medicinal Products." 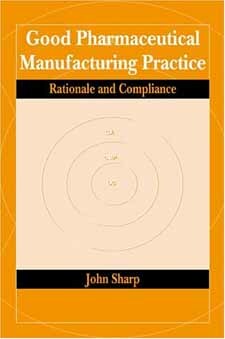 It explores the reasoning behind the requirements and the ways and means of complying with them. Topics include personnel, documentation, premises and equipment, production, quality control, self-inspection, recalls, and more. This is an essential guidebook for those who wish to expand their pharmaceutical business in any international capacity.